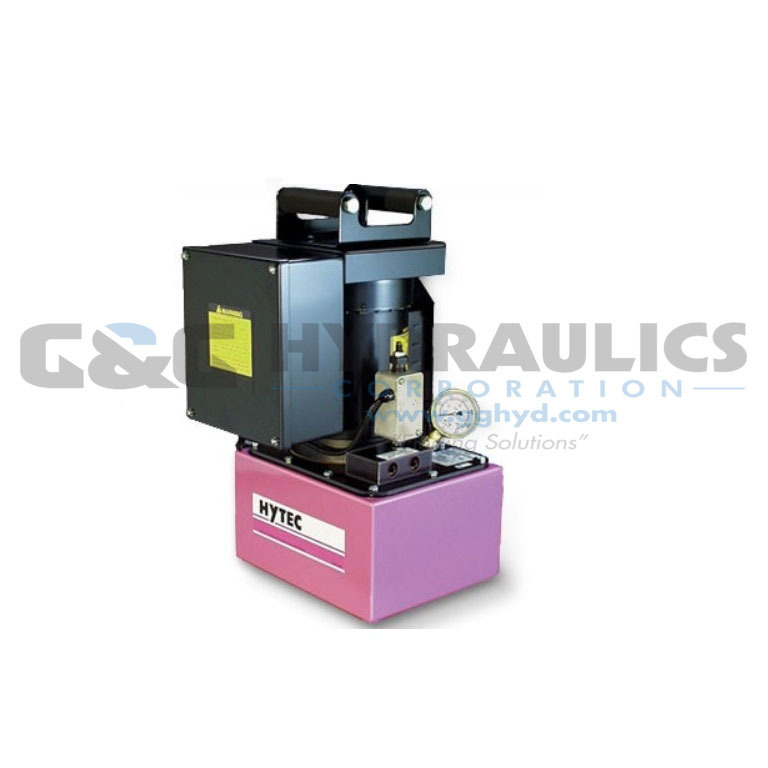 Part #100186 Hytec Electric/Hydraulic Pumps, 1 HP, 1,725 rpm; 115V AC, 2.5-gallon metal reservoir, 44 cu. in./min. oil flow at maximum pressure, 590 cu. in. usable oil. 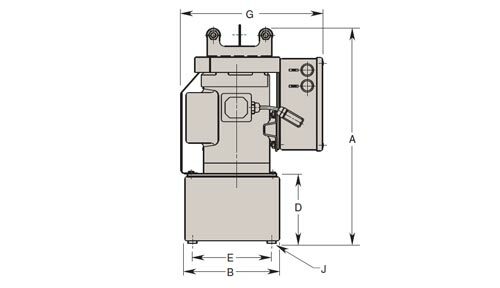 These electric/hydraulic pumps are twostage, continuous pressure (demand) pumps that contain all the necessary controls and circuitry for powering any single- or doubleacting continuous pressure workholding system. They have a pressure switch and an external pressure regulator, both infinitely adjustable throughout the operating pressure range of 1,000 to 5,000 psi. An internal safety relief valve prevents damage from exceeding the maximum rated pressure. They are gerotor/axial piston pumps with a totally enclosed fan cooled (TEFC) induction motor. 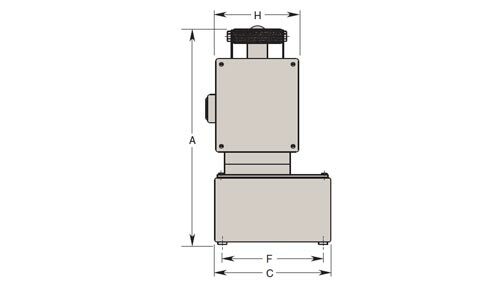 The 1⁄4" NPTF outlet manifold can be replaced by any Hytec pump-mounted valve. Shipped with two gallons of hydraulic oil. * For field conversion to 230 VAC, order conversion kit No. 250186. An optional fluid level / temperature gauge is available.